Here are some culinary experiences from the last week. In short - rediscovering Olympen, pasta at Alanya Restaurant at Hamar, and artisan bread at United Bakeries in downtown Oslo. 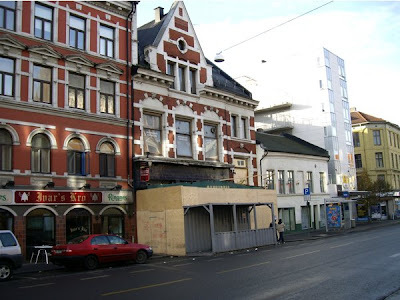 When Olympen Bar or "Lompa" was closed for renovation last fall, I was highly angered that the renovation hell would start to destroy one of the last and most traditional beer halls in Oslo. This was the place completely free of the hip food and trendy crowd that have made this city so boring. I was determined to maintain a boycott of the new Olympen, and this reaction was strengthened by the fact that the new restaurant was lit by the largest crystal chandeliers I have ever seen. This was seriously so far away from the original that you could ever get. I broke my self imposed boycott last Friday as we entered the old hall. I was pleased to see that the old paintings had been restored / cleaned, and that the dark wood still provided some of the old atmosphere. But I have serious doubts on the chandeliers. They look like something you would expect to find in one of Saddam Husseins old palaces or in a luxurious brothel. The reviews of the food had been favourable. I ordered a sandwich with Skagen Salad and my friend Terje ordered a beer plate with paté, cheese, ham and cured meat. My sandwich was decent, a large pile of prawns, onion, mayonnaise and fish roe on salad. Always safe with a cold glass of lager. Terje was however not so satisfied with his beer plate. Good paté and cheese, very (too) crisp cold bacon, salty and tough cured meats. The beer was the best experience for his part. And the crowd. Sadly - the old crowd would not blend in here. The working class guest with his pint had been swapped for a politically correct crowd on my age. Even if the interior had managed to provide some of the old times, so much had been lost. 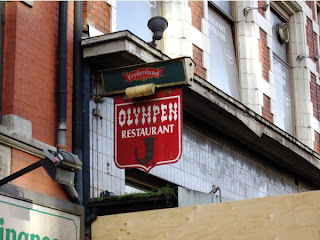 Olympen - RIP, rest in peace!! The first day of 2008 I retreated with my friends Stian and Øyvind to their beautiful home in Løten. I decided to take them out to dinner, and they recommended Alanya Restaurant in downtown Hamar. 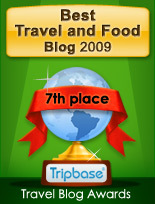 It offers "Turkish dishes and international a la carte", with all rights, meaning wine, beer, and hard liquor. We were joined by two of their friends. Alanya serves good decent food. 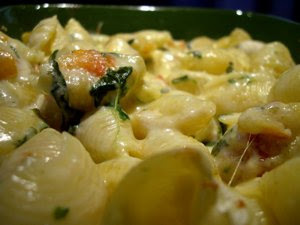 I was warned no to choose the pasta dishes as they tended to be overcooked, according to Øyvind. I did order the pasta carbonara (€12), and was very pleased by the result. I could have been seasoned slightly more, but it was very good. Two of the guests chose the Adana Kebab, marinated ground beef skewer with tomato, red pepper, garlic and salad(€23). The red pepper was not the traditional bell pepper, but a hotter red variety. Øyvind ordered a Scallopina Fiorentina, pork tenderloin with fresh mushrooms, red wine sauce and dauphinoise potatoes (€28). He was happy, as he had eaten this before, and was as pleased as the last time he had eaten there. The last guest ordered a medium pizza (10 varieties priced from €8-16), Italian style, delicious and crisp. At we were also served a delicious entrée, crisp flat bread with a mixed salad. 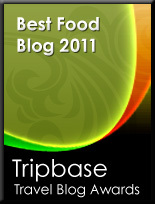 My conclusion: Alanya is a decent place to eat, that offers quality food at a very favourable price. So if you should be in that neck of the woods, try it! Do you love the feeling found in a French boulangerie? Then you should visit United Bakeries, located by Karl Johans gate, in the heart of Oslo. On my day off yesterday, I went in to buy a rustic bread, and I love just to stay there and watch all the baked delicacies under offer. 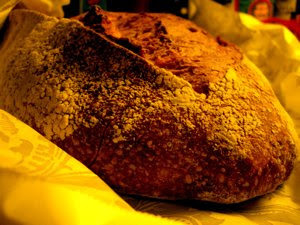 This is hand made rustic breads with a thin coating of flour and there are so much to try. Traditional baguettes like the ones you buy in Paris, Mediterranean olive bread, rye breads and seriously brown loaves. Most are priced at around €5, and I was certainly willing to pay that price for the 85% spelt bread. When I came home I could not wait to cut a few very thick slices, spread on some pesto and cheese. Another fantastic thing about United Bakeries is their Caramel-Pecan-terte. I won't even start to mention all the things I'd do to get hold of one right now.